In this webinar, Dr. Michael Snyder of Stanford University discussed the use of genetics and genomics in predicting disease risk; what other types of big data can be collected on individuals; and how this data can be used to manage health. Dr. Snyder demonstrated the value of big data in medicine in a personal way. In 2012, his research into his own genome predicted risk for metabolic disorders. It was a landmark study that demonstrated how big data can add granularity and precision in medicine. Intended audience: health care professionals. However, this program may also be of interest to educators, researchers, students and lifelong learners. 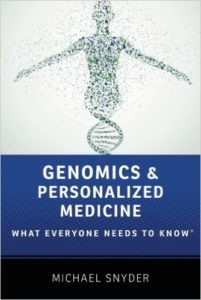 To learn more, check out Dr. Snyder’s book, Genomics & Personalized Medicine: What Everyone Needs to Know. 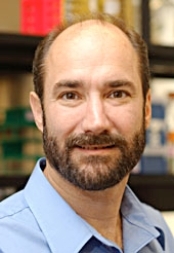 Michael Snyder is the Stanford Ascherman Professor and Chair of Genetics and the Director of the Center of Genomics and Personalized Medicine. Dr. Snyder received his PhD training at the California Institute of Technology and carried out postdoctoral training at Stanford University. He is a leader in the field of functional genomics and proteomics, and one of the major participants of the ENCODE project. His laboratory study was the first to perform a large-scale functional genomics project in any organism, and has developed many technologies in genomics and proteomics. These include the development of proteome chips, high resolution tiling arrays for the entire human genome, methods for global mapping of transcription factor binding sites (ChIP-chip now replaced by ChIP-seq), paired end sequencing for mapping of structural variation in eukaryotes, de novo genome sequencing of genomes using high throughput technologies and RNA-Seq.